Just as many experts and analysts are stumped by the Seahawks' opener as their overall prospects for the season. Good? Bad? What we do know: It will be different. Four of 10 panelists pick the Seahawks straight up. Benjamin Hoffman: Picks the Broncos (-3) against the spread. All three panelists pick the Seahawks (+3) against the spread. “Remember that legendary defense that helped the Seattle Seahawks get to back-to-back Super Bowls earlier this decade? It’s dead. Gutted. Swimming with the fishes. 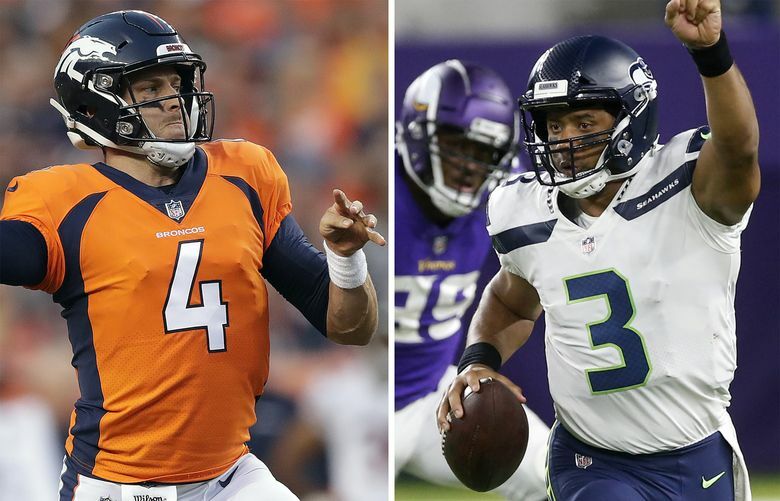 But all three of our experts are still on board with the Seahawks in their opener against the favored Denver Broncos on the road. “With Case Keenum starting at quarterback alongside rookie running back Royce Freeman on one side of the ball and Defensive Rookie of the Year favorite Bradley Chubb debuting on the other side of the ball, new-look Denver is giving Seattle three points. Two of eight panelists pick the Seahawks straight up. Two of eight panelists pick the Seahawks (+3) against the spread.